The Rembrandt is located just off Sukhumvit Road and only a short walk from the Skytrain and underground. As well as a great location, the Rembrandt Hotel Bangkok offers exceptional service and superbly appointed rooms – including rooms suitable for families, and a wide range of cuisine. The rooms feature a television, Wi-Fi internet access, mini-bar, hair dryer, and a bath/shower. 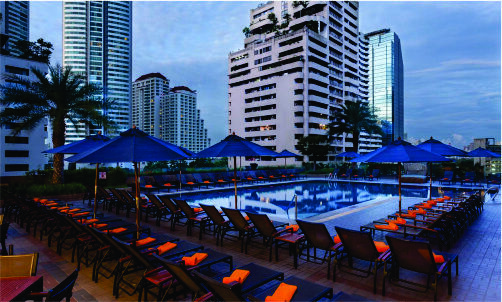 Facilities within the hotel include a swimming pool, gymnasium, Thai cooking school and Wi-Fi internet access.